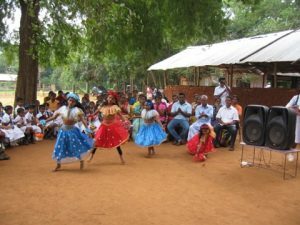 On January 27th 2018, the Charity Trustees spend an extremely interesting and worthwhile morning attending the official launch of our School Garden Project at Ilukwewa Junior College in Sigiriya. We have provided equipment for clearing land, starting the growing of permanent and short term crops, and watering the garden area. A lovely ceremony was held to mark the occasion. The Principal and parents expressed deep gratitude for the establishment of this important new development in the school and pupils entertained the gathering with splendid dancing and speeches of thanks. 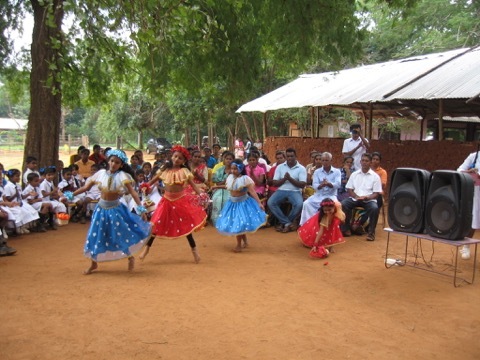 Further details will be found on the Sigiriya page of this website.